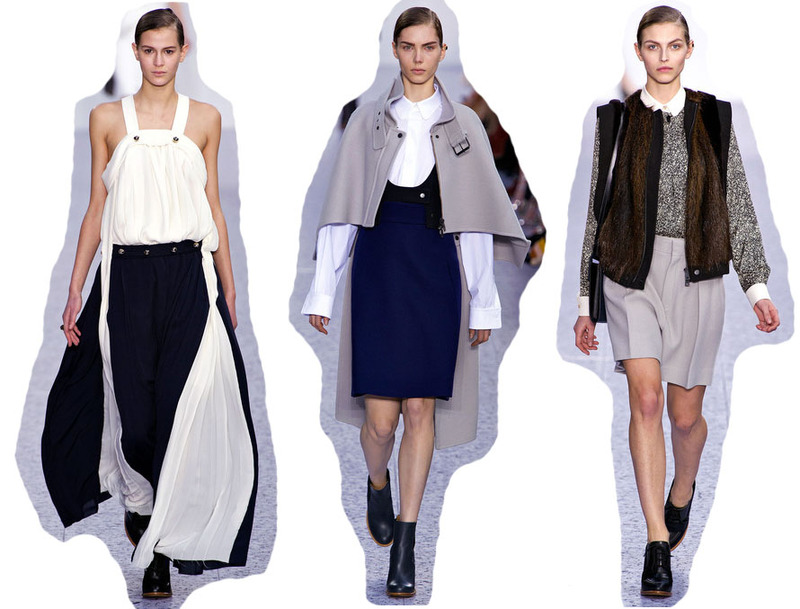 Alexander Wang did very well indeed by creating a mature and classic collection. He had some big shoes to fill and I liked the results! With mostly a black and white palette (something that we have seen over and over at the Fashion Weeks this month), Wang stayed true to the curved hems and strong silhouettes that Balenciaga is known for. I want to dress like this all day, everyday. Simultaneously elegant and mature at the same time as being relaxed and off-duty. Marant is always clever at producing this mix and it is what makes label so popular and wearable. The ponkyskin wedges were somewhat of a relative to the wedge sneaker and I can already see the style of strapped wedges all over the high-street come A/W. Now I just want to own it all. I was very excited to see what Acne had to offer for AW13, being quite an Acne fan myself. The strange cupcake-wrapper shoes weren't really to my taste, however there were plenty of oversized biker-style jackets that I adore. 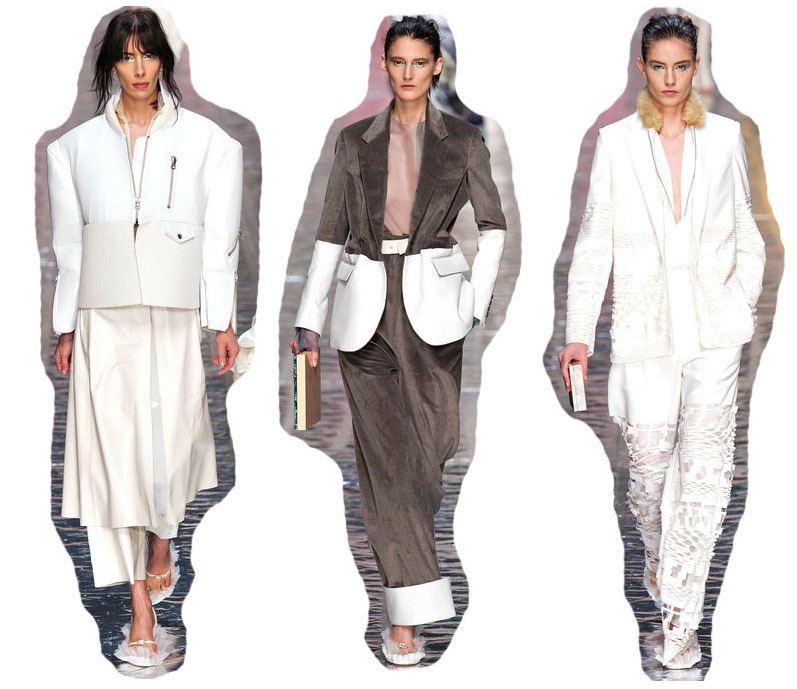 I wouldn't say that the collaboration with artist Katerina Jebb is my preferred collection but the minimalist touch of whites shown in the three looks above were perfect. 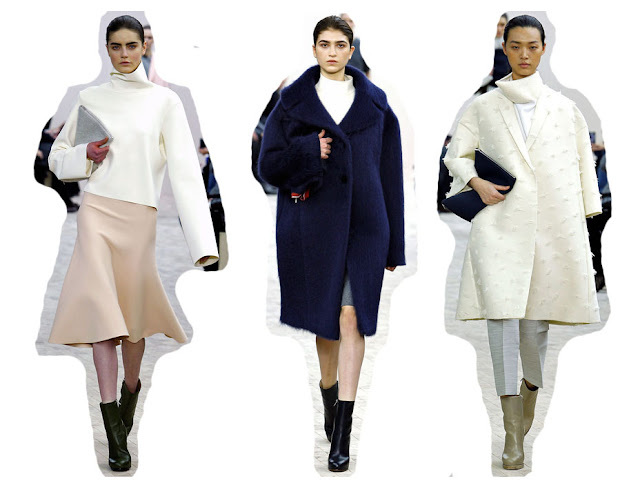 Phoebe Philo created a very wearable, cosy and elegant collection for A/W and the colours used represented a very soft palette. I loved the just-above-the-ankle boots, simple clutches and large oversized coats. A series of different silhouettes were also played with throughout the collection as varying sized skirts and funnel-necked tops graced the catwalk. Beautiful collection. I really struggled with whittling down my favourites to three; this collection was incredibly wearable and a tough vs elegant vibe came through in the majority of looks. In fact, the three looks shown above portray exactly that. 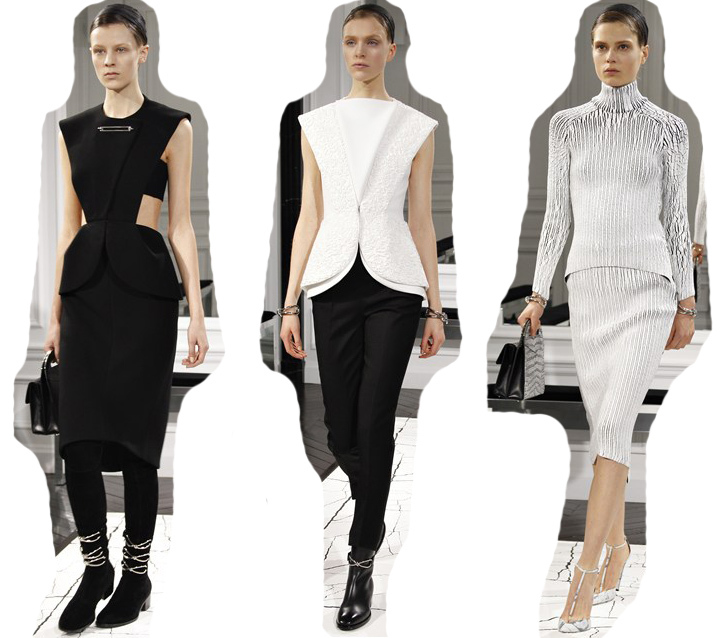 Feminine and masculine silhouettes combined to create a tougher looking woman (shown in the middle look). All photos sourced from Style.com (and edited by myself). Great looks. Especially loving Celine! oh these were definitely some of my favourite collections also!